Gary Crosby’s GROUNDATION – The Verdict: ‘explosive’! 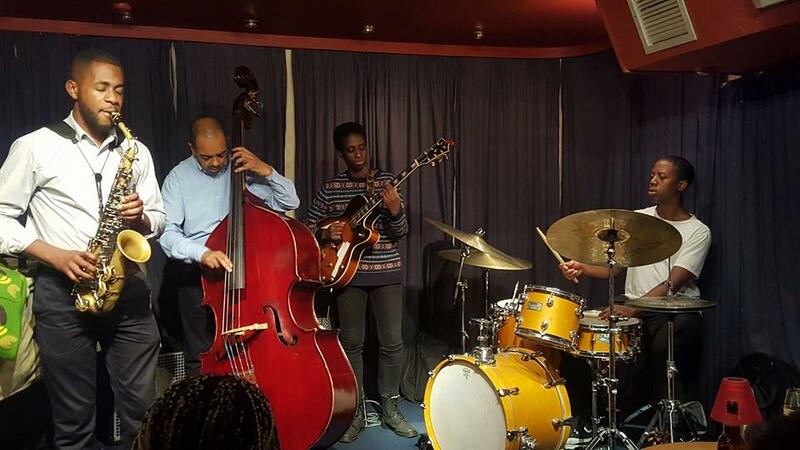 A great review from Jazzwise (see below), but just wanted to say I had a fantastic time in Brighton last Friday playing at The Verdict Jazz Club with Groundation (Nathaniel Facey, Shirley Tetteh and Moses ‘Mobo’ Boyd). It was our privilege to be launching a brand new programme of jazz curated by the guys at New Generation Jazz. The Verdict is a lovely little venue, and what the it lacks in size was made up by the enthusiasm of our sold out audience! Peace and love to Jack Kendon and Co at New Generation Jazz for organising it all. And best of luck to you guys for the rest of the series. We look forward to coming back sometime – it’s a great gig. Meantime, here’s that great review I mentioned from our friends at Jazzwise Magazine – thanks guys! In the practice of Rastafari, a Grounation is a musical and motivational meeting-up of the community – part prayer meeting, part drumming circle, part mentoring session, it’s the means by which the core values of the group are re-examined and reinvigorated, and its traditions upheld and passed down. Gary Crosby’s Groundation is happening in Brighton tonight…for an evening of exploration, affirmation and conversation. Photos courtesy of New Generation Jazz.